It’s been over 20 years since Dr. Jill Sandler took over the reins at Heartland Animal Clinic. Dr. Sandler, a 1984 graduate of the Kansas State University College of Veterinary Medicine, had previously received a Bachelor of Science degree in biology at K-State. Upon graduation, Dr. Sandler served a two-year stint at Gage Animal Hospital in Topeka. She and her husband Andy then moved to the Kansas City area where she practiced at the Emergency Veterinary Clinic in Overland Park. She also served as a relief veterinarian for local animal clinics. In 1989, she became an associate Veterinarian at what was then called Santa Fe Animal Clinic. Two years later the clinic’s owner retired; Dr. Sandler purchased the practice and renamed it Heartland Animal Clinic to reflect its regional scope, as well as our mission to deliver compassionate care. Dr. Sandler has been married to Andy for over 30 years, and has a cat and two French Bulldogs. Lori started in the Veterinary business in 1989 as a kennel worker and Veterinary Assistant. 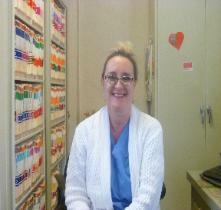 She joined Heartland Animal Clinic in November 1993 as a receptionist. Lori was promoted to Office Manager in 1999. Although, Lori now only works from home as finance manager for Dr. Sandler and her staff she still believes in the highest level of customer service and encourages our clients to give us feedback to help improve our patient care. Lori's family includes her husband, Greg, two children and a Italian Greyhound mix. 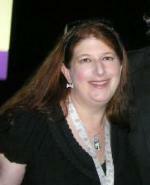 Monica joined our team in November 2011. She has been a long time client herself and is a pro in giving excellent customer service with a smile. Monica's family includes her husband Derek, 1 dog & a cat named "Pickles." Melynn is a Registered Veterinary Technician and has been with us since 2006. She received her Bachelors of Animal Science from K-State in 2000 & her Associates of Applied Science from the Bel-Rea Institute in 2002. She has also spent time as a zoo keeper for the Bronx Zoo. Melynn also appeared on a episode of Animal Planet's Emergency Vets. Her family includes 3 cats, 4 greyhounds & a conure named Deanie. Jenny has always had a love for animals and started as a bather/ brusher over ten years ago with Petsmart. She is trained to groom all breeds, as well as having taught the art of dog grooming while she was with Petsmart. Jenny has also recently been trained to assist the doctors as well as our technician. In addition to a cat named "Karin", Jenny owns three chihuahua's named Mango, Crackers and Speck. Dr.Musil started working relief for us in 2018. She graduated from K-State's Veterinary school before the dawn of man. In spite of the fact that farmers sent their daughters to KU and their cattle to K-State, she managed to land a husband from her vet school class. He forced her to remain in Kansas where they opened a small animal practice 30 years ago. In 2014, she had a mid-life crisis and ran away to New Zealand. During that time, her husband got tired of doing all the work himself and sold their practice to teach her a lesson. Dr.Musil now wanders aimlessly around the metro area plying her trade while she tries to decide what she's going to do if she every grows up. We've convinced her to stop at Heartland at least once a week in order to provide us with a new source of comic relief. In addition to her husband, Dr.Musil has 3 (2-legged) children, an English Setter and a Rhodesian Ridgeback. She is an excellent veterinarian and we are happy to have her 1-2 times a week. Dr. Lake was born in Overland Park, KS and graduated from SM West in 1989. She always wanted to be a veterinarian and so she started college at the University of Kansas, then Colorado State University and eventually completed her undergrad at K-State. She obtained her degree in Veterinary medicine from K-State in 1999. During her time there, she also found the other love of her life, which is working with Greyhounds. Dr. Lake has worked at many practices here in the Kansas City area while she continued to work part time as an assistant greyhound trainer at the Woodlands. She has mostly done relief work and that is how she started Petworks. When the Woodlands closed in 2008, she started doing greyhound cancer study and placing greyhounds for adoption in her spare time. Dr. Lake is married to Jeff Lake, DVM and they currently have 12 senior greyhounds, a garage cat (Patches) and a fish tank at home. They enjoy their lake home at Table Rock and spend every moment on their pontoon to decompress from the stresses of life. Dr. Lake also enjoys traveling, concerts, photography and any pet oriented event. Dr. Lake's motto for practicing veterinary medicine is simple: "When your pet is in my care, that is my pet too and I take care of it as I would my own." Tammie joined our team in May of 2017 as a veterinary assistant with over 12 years experience in the industry. Tammie's 16+ years experience in dog behavior and training has shown to be a great asset for the staff & our clients. With her experience, we were able to add group obedience classes and behavior modification training to the services now offered her at Heartland Animal Clinic. Tammie focuses on teaching pet owners how to relate to their dog in a way the dog understands. Tammie strives to get the entire family excited and motivated to get involved in the training of their dog. When not at work, she is busy spending time and keeping up with her teenage son and daughter's busy schedule.